TIVOLI, NY – Today, Senator Tom Harkin of Iowa and Representative Tim Walz of Minnesota announced the introduction of the Beginning Farmer and Rancher Opportunity Act of 2013 in both the Senate and the House of Representatives. The two identical bills expand opportunities and remove barriers for beginning farmers and those who wish to pursue a career in agriculture. In addition to the bill’s lead sponsors, the following members have signed on as original co-sponsors: Reps. Jeff Fortenberry (R-NE-1), Chris Gibson (R-NY-19), and House Agriculture Committee Ranking Member Collin Peterson (D-MN-7) in the House, and Sens. Patrick Leahy (D-VT), Sherrod Brown (D-OH), Bob Casey (D-PA), Jon Tester (D-MT), Tom Udall (D-NM), Jeff Merkley (D-OR), and Al Franken (D-MN) in the Senate. The Beginning Farmer and Rancher Opportunity Act is a comprehensive legislative package that invests in critical federal conservation, credit, research, and rural development programs that support opportunities for new farmers and ranchers. The bill reduces barriers, such as credit and land access issues, that new agriculture entrepreneurs face, and invests in successful new-farmer training programs and grants to help farmers capture more of the retail food dollar through value-added enterprises. “As the House considers a five year Farm Bill this year, it is important we include provisions to encourage a new generation of New Yorkers to take up farming. This is both critical to maintaining the rural nature of our communities and ultimately is a national security issue as we need to have a robust domestic food supply. This bipartisan legislation will expand opportunities for those looking to take up farming and facilitate their entrance into the field. I applaud the National Young Farmers Coalition for bringing this issue to my attention originally, and look forward to continuing to work with my constituents to ensure we can get these initiatives included in the Farm Bill,” said Congressman Chris Gibson. The bill would create a new microloan program that would make loans of up to $35,000 to young, beginning, and veteran farmers seeking capital to help cover start-up costs, such as purchasing seeds or building a greenhouse. The bill would also give new farmers increased flexibility in meeting loan eligibility requirements for FSA loans to purchase farmland. 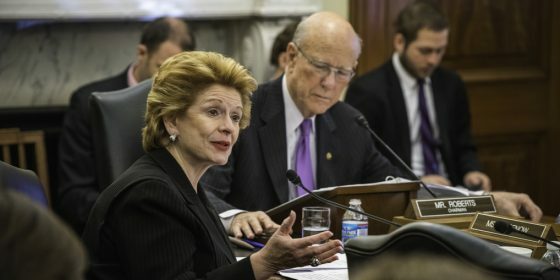 Finally, the bill would provide funding to jump start an Individual Development Account pilot program aimed at helping beginning farmers with limited financial resources to establish savings accounts that could later be used to cover capital expenditures for a farm or ranch operation, including purchases of land, buildings, equipment, or livestock. The legislation would help new and aspiring farmers access land to start or expand their farming operations by continuing and improving the successful Down Payment Loan Program, which provides much needed capital to new farmers seeking to purchase property. The bill would also modify the Farm and Ranchland Protection Program to give priority to preserving farmland that is accessible and affordable to new farmers. The bill would renew funding for the successful Beginning Farmer and Rancher Development Program, which provides grants to organizations and institutions to establish new farmer training programs. This program is the only federal initiative that is exclusively dedicated to training the next generation of farmers and ranchers. This legislation invests in critical economic development programs, including the popular Value-Added Producer Grants program, which provides grants to farmers to scale up their businesses and add value to their products in order to meet surging consumer demand for high quality, farm-based, value-added food products such as farmstead cheese, salsa, and grass-fed beef. 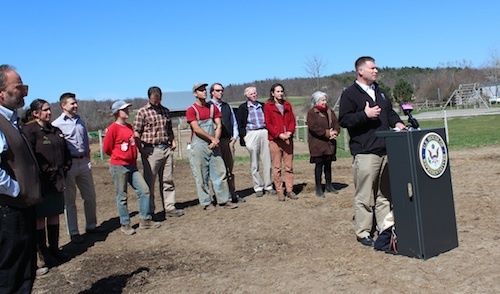 The bill would also expand resources and create economic opportunities for military veterans interested in pursuing a career in agriculture by establishing a funding priority for new farmer training and agricultural rehabilitation programs specifically geared at returning veterans, and creating a new Veterans Agricultural Liaison within the USDA to help connect returning veterans with beginning farmer resources and assist them with program eligibility requirements for participation in farm bill programs. National Young Farmers’ Coalition (NYFC) is national network of young and sustainable farmers organizing for our collective success: we’re defining the issues that beginning farmers face, fighting for the policy change that we need, and bringing farmers together in person and online to learn, share and build a stronger community. 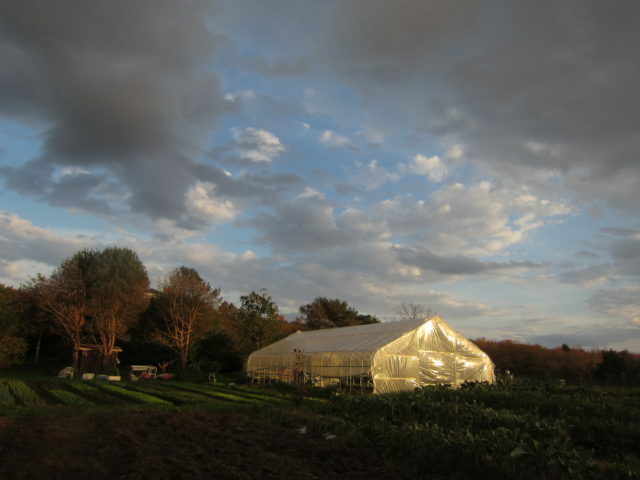 NYFC is a farmer-led partnership between young farmers and innovative beginning farmer service providers and is fiscally sponsored by the Open Space Institute, a 501(c)3 non-profit organization.